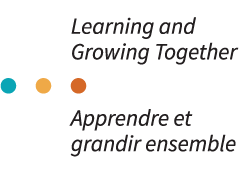 The Joint Learning Program (JLP) is a partnership between the Public Service Alliance of Canada (PSAC) and the Treasury Board of Canada Secretariat. The pilot, which was negotiated in 2001, marked the first time a bargaining agent and the employer agreed through contract negotiations to jointly deliver learning activities to enhance labour-management relations in the public service. The JLP was originally established through a Memorandum of Understanding in the 2001 round of collective bargaining for Tables 1, 2, 3 and 5 between the PSAC and the Treasury Board of Canada. After a successful pilot project the JLP wrapped up with the expiry of the collective agreements in April 2004. During the 2004 round of collective bargaining, the parties agreed to renew the JLP. As a result, a Memorandum of Understanding was signed which increased the programs funding to $8,750,000 and provided for a further $292,000 per month to the JLP to ensure the continuity of this initiative during the period between the expiry of the collective agreement and its subsequent renewal. The JLP was subsequently renewed during the 2007 and 2011 rounds of collective bargaining. Since 2011, all Union members within the Core Public Administration are eligible to participate in the JLP.